If you would like your child to attend our school, please see full details of how to apply on the web link. Victoria Primary School opened in September 2016. It has not yet been inspected and does not have a current Ofsted judgement. The previous school's report can be downloaded via the attachment. 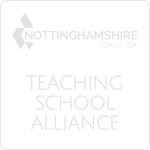 Victoria Primary School teaches the National Curriculum for England, the Nottinghamshire Agreed Syllabus for Religious Education and an internally developed scheme for Languages and PSHE (Personal, Social, Health and Economic) Education. The staff at Victoria Primary School designed the school curriculum with the aim of making a positive difference to the life chances of each of our pupils, no matter what their individual background may be. We believe that the curriculum must always take account of our pupils’ life contexts as well as their social, linguistic and academic starting points if it is to enable and challenge our pupils to learn and grow into successful individuals. Through these principles, Victoria Primary School pupils will become independent and positive members of society who consistently demonstrate the qualities of our school motto: Work Hard - Be Kind. 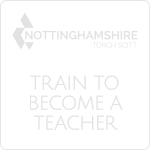 The school uses the Letters and Sounds Programme alongside the Nottingham City Council Phonics Programme. In Key Stage 1, pupils have two 20 minute Phonics lessons every day. During the first session the children work in smaller groups with other children who are working within the same Phase. During the second session the children work within their class at the age-related Phase. During both of these sessions the children learn different sounds (phonemes) and how to read (blend) and write (segment) using the knowledge of these sounds. Pupils apply all of this knowledge in their writing. The school follows the 'Letters and Sounds' system followed by the Spelling structures of the National Curriculum. Spelling is taught in 20 minute lessons three times per week. Every child deserves the best start in life and at Victoria Primary School we strive to help our pupils develop academically, creatively and socially. Victoria provides a safe, nurturing environment that allows our pupils to learn, grow and develop with confidence. We believe learning should be active, stimulating and engaging, and will ensure that any barriers to learning are overcome. We want every child at Victoria Primary School to have a rich, rewarding and happy primary experience, learning skills that enable them to be successful. Throughout our school, pupils will work hard and be kind. It is a primary aim of our school that every member of the school community feels valued and respected, and that each person is treated fairly and well. We are a caring community, whose values are built on mutual trust and respect for all. The school's behaviour policy is therefore designed to support the way in which all members of the school can work together to promote an environment in which everyone feels happy, safe and secure. Our policy is informed by current DfE guidance and statutory duties as outlined in Behaviour and Discipline in Schools July 2013, which states that schools must have a behaviour policy. Victoria Primary School recognises its responsibilities for safeguarding children and protecting them from harm. Our policy applies to all staff, governors and volunteers working in the school. We have developed this policy in consultation with the Nottinghamshire Safeguarding Children Board (N.S.C.B) and Nottingham City Safeguarding Children Board (N.C.S.C.B). The Governing Body of Victoria Primary School will meet its responsibilities under the Health and Safety at Work Act and other health and safety legislation to provide safe and healthy working conditions for employees, and to ensure that their work does not adversely affect the health and safety of other people such as pupils, students, visitors and contractors. Details of how this will be done are given in this health and safety statement. 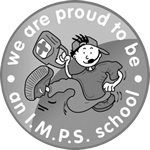 The school is committed to continually improving its health and safety performance. Victoria Primary school is committed to providing emergency first aid cover to deal with accidents, which occur to employees, children and all categories of visitors. * Have a minimum of one suitably stocked first aid box in each key stage area. * At least one appointed person to take charge of first aid arrangements. * Provide information to employees, children and parents on the arrangements for first aid. * Have a procedure for managing accidents. * Review the arrangements for first aid annually. Victoria Primary School aim to provide an excellent education for all our children, and we believe that the Head of School and other staff work very hard to build positive relationships with all parents. However, the school is obliged to have procedures in place in case there are complaints by parents. 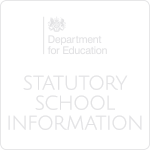 This document sets out the schools procedure for addressing complaints. It should be used only when informal attempts to resolve problems have been unsuccessful. If you have any concerns about the school or the education provided, please discuss the matter with your child's class teacher at the earliest opportunity. The school considers any concerns very seriously and most problems can be resolved at this stage. Please phone the school office to make an appointment with the class teacher on 0115 807 7750. There were no formal complaints received by the IEIB in 2016 - 2017. At Victoria Primary School we aim to provide every child with access to a broad and balanced education. We aim to provide every child with access to a broad and balanced education. This includes provision for those children attending EYFS and the National Curriculum in line with the Special Educational Needs Code of Practice. The Trust Publication Scheme available to download here. At Victoria Primary School, we are committed to ensuring equality of education and opportunity for all pupils, staff, parents and carers receiving services from the school, irrespective of race, gender, disability, faith or religion or socio-economic background. We aim to develop a culture of inclusion and diversity in which all those connected to the school feel proud of their identity and able to participate fully in school life. Full information about Charging and Remissions can be found in the attached document. The funding allocation for 2018 - 2019 is £181,000. See attached the planned expenditure. The premium must be used to fund additional and sustainable improvements to the provision of PE and sport, for the benefit of primary-aged pupils to encourage the development of healthy, active lifestyles. Our plan for the current school year can be downloaded from this page. At Victoria Primary School we pride ourselves in the support we give to children with Special Educational Needs. The Governance roles in other schools are available to download here. The Structure and Responsibilities of the school Local Governing Bodies are available to download here.